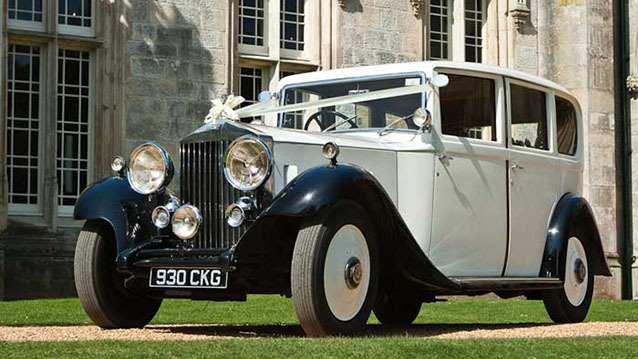 These elegant Vintage Rolls-Royce’s provide all the charm of British luxury motoring of the 1930’s era. 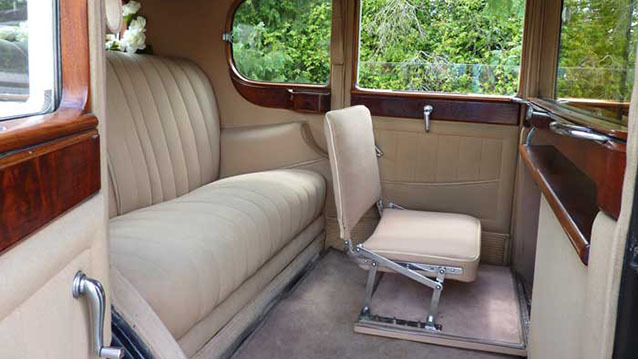 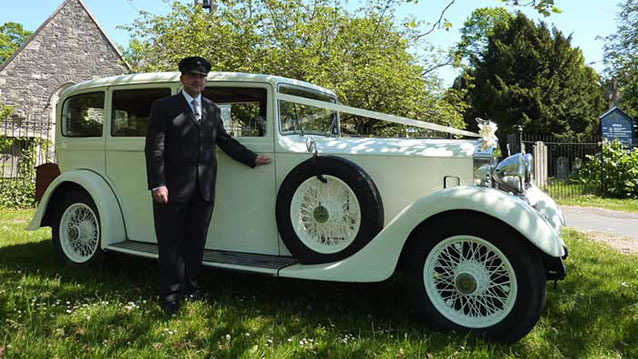 In addition to a wealth of Chromework at the front of the cars the wheels are finished in Ivory to match the body, the exterior also has a Rear Picnic Trunk. 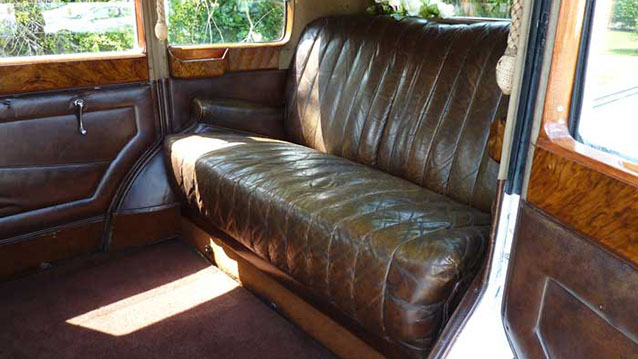 Inside the cabins you will find soft seating, Wilton carpeting and a Privacy Division Screens situated between the Chauffeur and the main cabin. 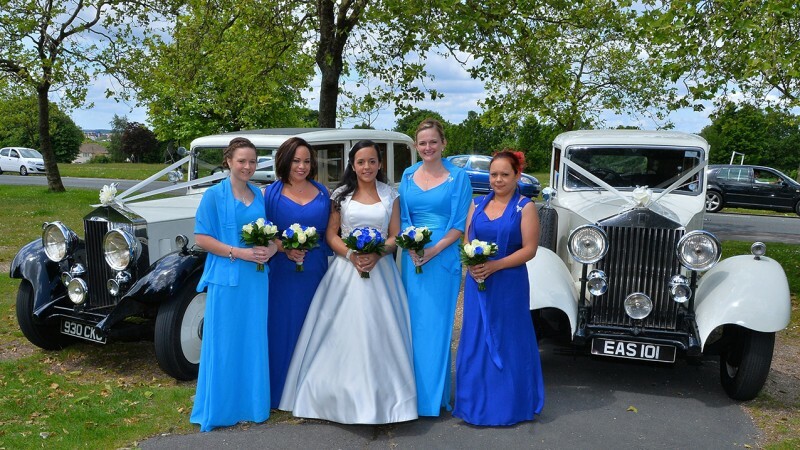 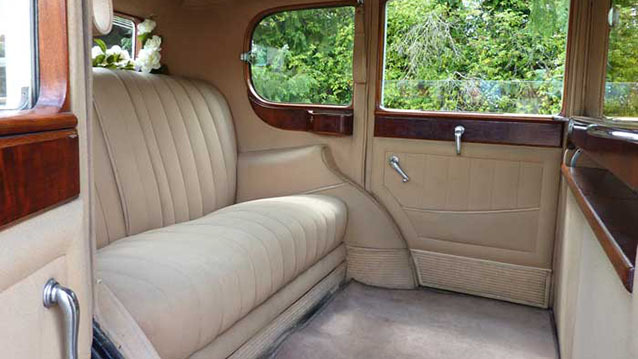 These spacious limousines are the ideal cars for Bridesmaids with their large seating capacity, but absolutely Grand when just two are travelling in the cavenous cabins. 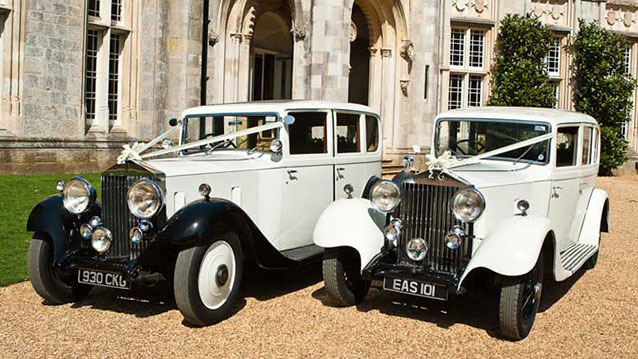 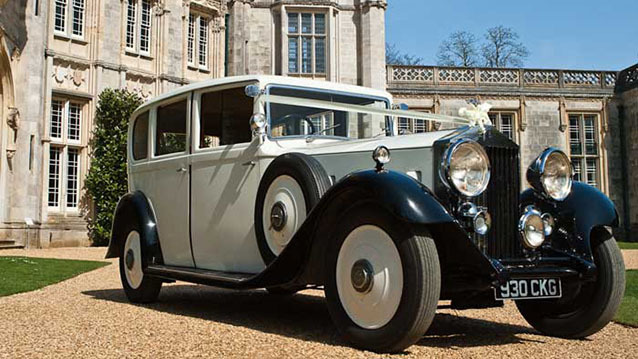 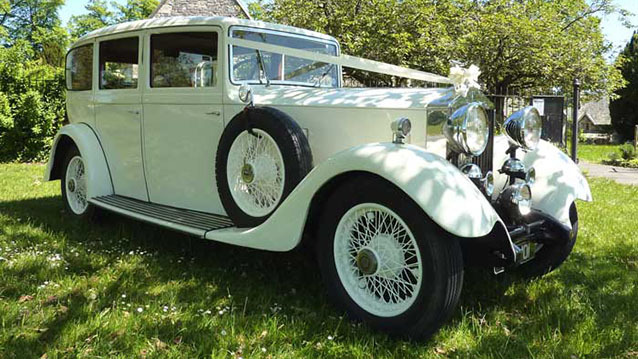 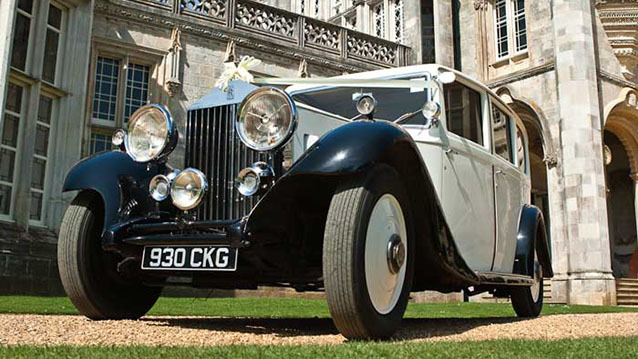 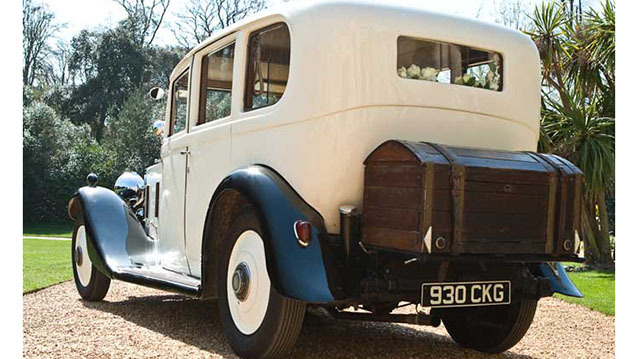 A 1930’s Vintage Rolls-Royce in elegant Ivory must surely be every Bride’s dream. 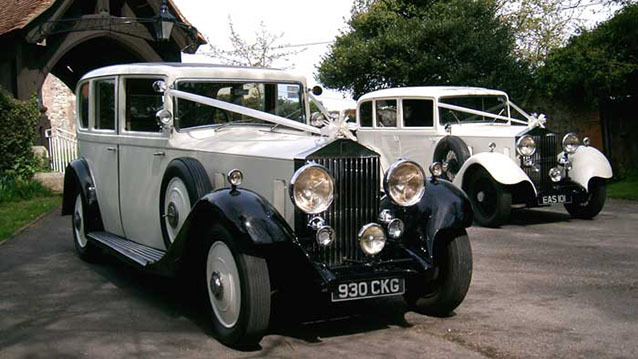 PLEASE NOTE: These cars individual reference numbers are 120 and 121 so if you only require one car and a single car price please go to the individual car page of 120 or 121 to add to your shortlist, otherwise if you add this pairs page to your shortlist you will be quoted the price for two cars together.